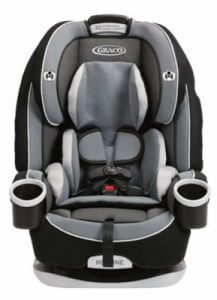 Baby car seats are used by babies around 1 year old to kids who are about to enter elementary school. It is an important item for your child’s safety, and we want to make sure it has all the safety measures and features to keep your baby safe! There are a lot of products available with great features like reclining features, or harness, or ISOFIX compatibility, making it confusing to choose just one. 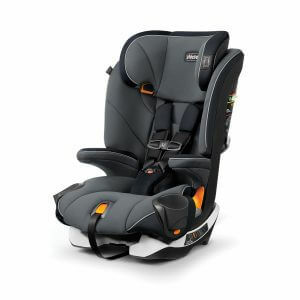 We will explain to you the ways to choose a car seat, together with the top items in rank order. 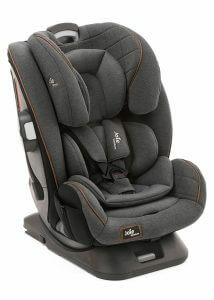 Hope you could find the item that keeps your baby safe and comfortable, to enjoy your family road trips to the fullest! Babies and kids move more compared to infants and newborns, so keeping them in firmly in place will become very important. 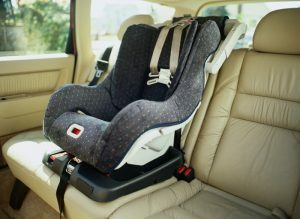 What are the things that we need to consider when purchasing a baby seat? Few things you need to check are: how it locks, the safety features, compatible car models, easy installation, if they are machine washable, and duration of use. When using a baby seat, you need to install the baby seat on your car with the seatbelt and close the baby seatbelts to hold your baby. “5 point harness” type has belts that go around your kids’ shoulders, hips, and inner thighs. This is the most common, and the safest among others. There are products with “shields” that goes to your baby’s chest area, but the safety measures are not that high. Try to choose the 5 point harness type when choosing, for our baby’s safety. Most products sold in stores have passed quality control, but it will be best to check, especially when you are planning to purchase them online. 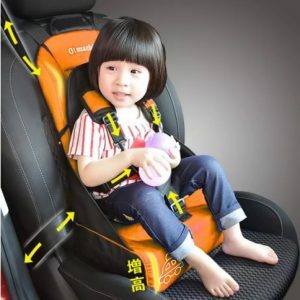 Technically, there are now laws in the Philippines that requires car seats for infants/toddlers riding a vehicle, so there is also no definite law that can help with baby seats’ quality control, but it won’t hurt you to check for it before purchasing. For international brands, they are more likely produced under a definite law as a lot of countries already have them and are very strict in implementing them. There is a chance that your baby seat is not compatible with your car, preventing you from installing them, or the width might not be compatible. Check if the product matches with your car before you purchase it, by checking the product website, or brochures. If you plan on changing your car, you might want to check it with your new car model too! 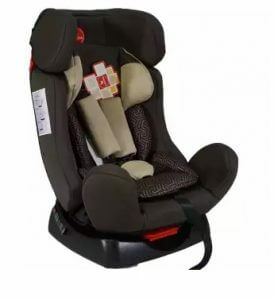 Easy installation is a very important factor when purchasing a baby seat, especially if you have more than 2 cars, and need to transfer your baby seat between working days and weekends. Some cars that are sold after July 2012 have a part that is called ISOFIX. 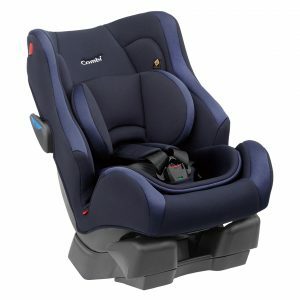 This is for easier and more precise installation of your baby seat and is known to make your child’s safety higher. It can be a good idea to check if your car has an ISOFIX and if the child seat is ISOFIX compatible. Though ISOFIX ready products are not very common in the Philippines, it is good to keep this in mind for future purchases. Babies and children get dirty pretty easily. Drinking juice and eating snacks are one of the reasons that cause dirt. For babies who are potty training, there can be a little leak too. In instances like that, being able to remove the cover and toss them inside a washing machine will become a great help. It can be easier than washing them by hand. 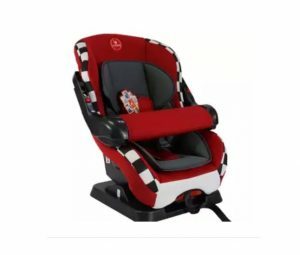 There are baby seats that can be used by babies aged 1 to 4, and you can remove the back part and it can serve as a booster seat, and your child can use it for up to 12 years old. 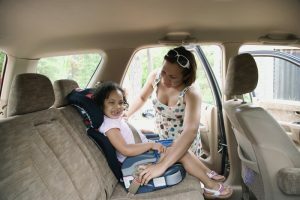 In other countries, only children under 6 years old are required to be in a child seat, but using a booster seat until your child is fully grown can still be a good idea for his/her own safety. Though you need to keep in mind that this will make the product more expensive. If you don’t plan on using them for a longer time, then you don’t need to force yourself to buy them. Think of your budget and practicality too. 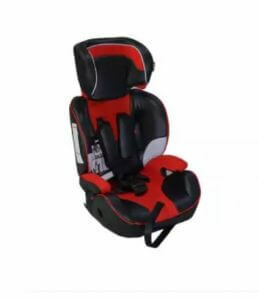 Now we will show you the top 10 baby seats available online in rank order. There are exceptionally lightweight products, those with very high safety measures, and a lot more, so think about your priorities and choose the best product for you and your baby. This product is designed for infants aged 0-12 months and has a snug comfortable fit and a detachable front bar for added protection in case of accidents. This bar can easily be removed or lifted up, when you need to pick up your child, so no need to worry about it becoming a hindrance or hassle. 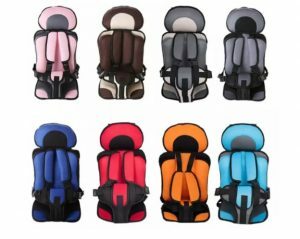 It can only be used for around a year but since it is relatively cheaper than other products, it can still be a wise idea to purchase this during your kid’s first year, and shift to high back booster chair once your child turns 1 year old. If you are planning on having more than 1 child, you will be able to maximize the product more and use them for long years. This car seat can be used by babies from 6 months of age, or when they can already sit on their own, up to 36 kilograms. Its headrest can be adjusted based on your child’s height so you can use them for long years. If you’re looking for something that can grow with your child, this is for you. It has an ergonomic design that nicely fits the body of your child. The mesh cover provides good ventilation. Both of these 2 features contribute to the comfortably of your child through long hour drives. 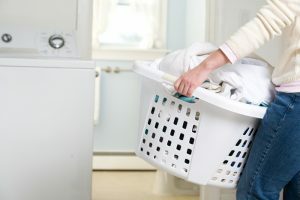 It is also machine washable for easier maintenance. It is great that all these features are available at only ₱5,000! One of the problems with the roads in the Philippines, aside from the consistent traffic in the Metro, is the bumpy roads and the humps that happen to be all around town. The additional cushion with high absorption that comes with this product will lessen the impact of those humps and bumps to your child. It has a 3-position reclining feature, so you can let your child sleep comfortably when he/she fall asleep. This product may be used for children aged 0-3 years old, or 25 kilograms, while the price remains very affordable at ₱5,500. Reviews also loved how this can be reclined and can be rear faced if your child is still an infant. A lot of parents have experiences with their toddler kids saying they don’t want to sit in a car seat and they prefer to sit on their parents’ lap. Continuous crying might make the parents let their child sit on their laps, but keep in mind that the main reason why we need a car seat is their safety. Buying a cute car seat that can attract your toddler might be the best solution! 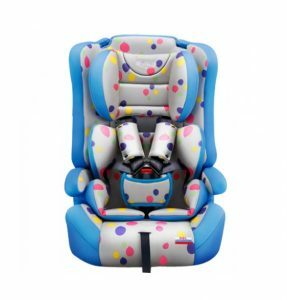 This car seat has cute polka-dots design that will surely make your toddlers want to sit on them! It can be transformed to a booster so your child can use it until he or she turns 12. This product has an eggshell head protection to protect your baby’s head and neck during accidents, as it almost wraps around the back of your child’s neck. 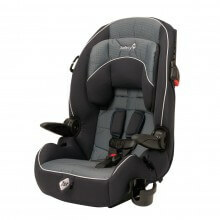 The ergonomic design combined with its thick cushions and reclining angle to make your baby very comfortable. Its headrest is also adjustable and can be used to babies weighing 0 to 26 kilograms. The machine washable cover will also make this product easy to clean. This product has an egg shock pad as your baby’s head support. This egg shock pad is very soft and firm and can catch a raw egg without breaking it. A lot of reviews mentioned how it is very lightweight even though it seems a little bulky at first. 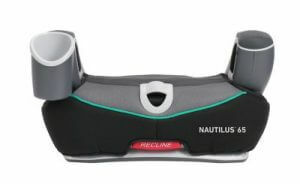 It can be used from newborn babies to kids aged 7 years old. Perfect for long-term use as it is known to be very durable, and is made in Japan to ensure the highest quality. 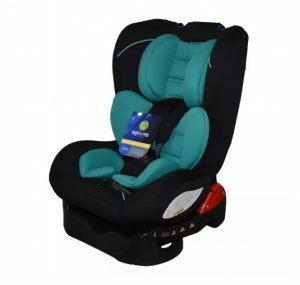 This car seat is not only adjustable to match your growing child’s needs, but it is also very durable and sturdy to endure all the weight for all those years, by using a steel reinforced frame. Even some reviewers tell their experiences that their babies and children were saved by this car seat when they were involved in a traffic accident. It is very easy to install as well, with its InRight LATCH system that lets you install them with one-second latch attachment, which makes it perfect for busy career women moms. It is one of the most expensive baby car seats on the market, but it is cheap for the safety you’ll get from it. If you have 3 kids who all need car seats, fitting 3 car seats across your back seat, esp. when you’re driving a sedan, may be one of the biggest problems you’ll encounter. This product will solve that, as it is slim enough to fit 3 seats, and the armrest is pivoted to make it easier to get on or get off the car. Height can be adjusted to match your child’s height and size, and can be machine washable too! Please note though, that even if you can fit three of these in your back seat, the spaces will, of course, be tight. Still, the protection it can give to your child is worth it! This product has one of the most (if not the most) number of adjustments for a car seat headrest. If your genes have the height, and you’re expecting your child to grow taller than average, this is the perfect product for you with its 9 height adjustments to accommodate your growing child. You can also do the adjustments with just one hand! It also comes with 2 dishwasher-safe cup holders, to keep your child entertained throughout your ride. The 2 armrests will also keep them comfortable, even during a long drive. The difference between the other ADJUSTABLE products to this TRANSFORMABLE product is that it not only adjusts its size, but it actually changes its design, to better protect and fit your growing child’s needs, from newborns until they are 12 years old! The best part is you only need one hand to transform them. If you don’t want to buy different products as your child grows, then this is the perfect product for you! The price is very reasonable too considering its functionalities. This product also has side ventilation to keep your child comfortable even during summer when your car air-con doesn’t seem to work. Buckle them up and enjoy road trips with your baby! Hope this article helps you in finding the perfect baby seat for your baby!